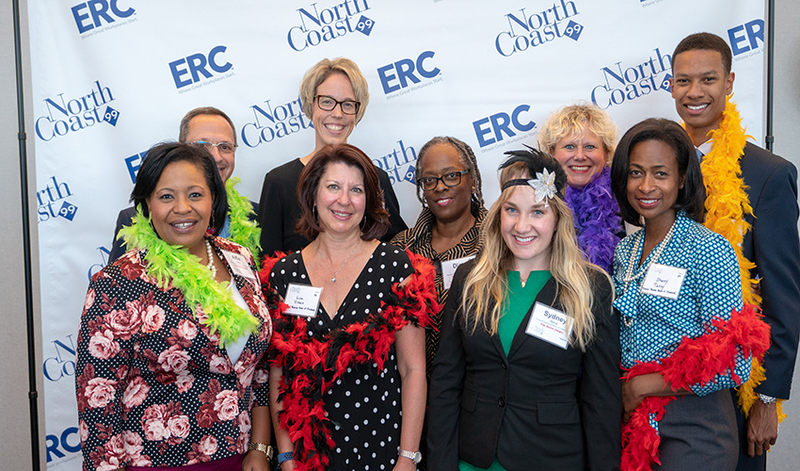 On the evening of September 18, ERC’s NorthCoast 99 program celebrated two decades of honoring best Northeast Ohio workplaces for top talent. The 1920s-themed awards event drew nearly 900 guests to the Hilton Cleveland Downtown to recognize “Roaring Workplaces” for their exemplary human resource practices. Early in the magical, Gatsby-inspired evening, the halls of the Hilton filled with post-Prohibition celebrants adorned in feathered headpieces, pearls, fedoras, and other festive period attire. Honorees, sponsors, and special guests mingled in dazzling reception spaces and playfully posed for photo booth pictures and roaming cameras. You Want to Be a Great Workplace. So Now What? It is true that becoming a “great workplace” doesn’t happen overnight. But instead of getting overwhelmed by a seemingly endless list of programs and offerings (and money...being “great” must cost so much money!) that so called “great workplaces” should all have, let’s take a look at what it means really to be “great”—with a few practical bite-sized pieces that you might be able to tackle at your organization right now sprinkled in for good measure. As the ERC 2016 Wage & Salary surveys launched last week, we looked to this year’s NorthCoast 99 winners for inspiration and best practices in compensation. Human Resource professionals work daily with things like payroll and benefits inside their own organizations. But what about the companies that provide these services to many organizations? What can we learn from the professionals who work with so many different employers? 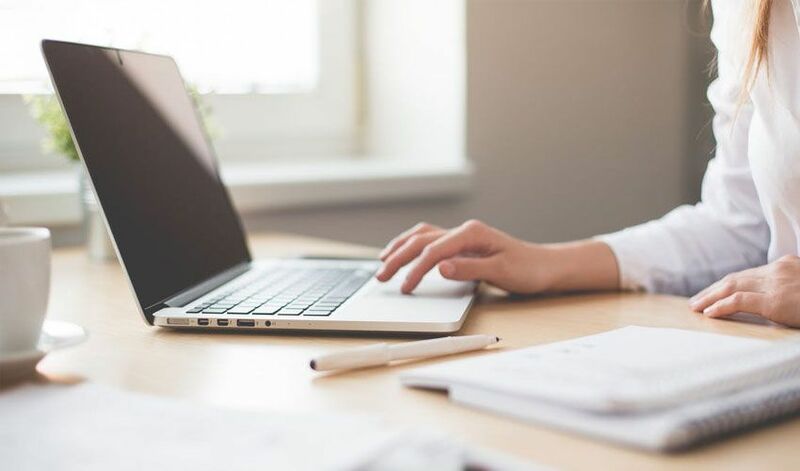 We got the chance to talk with ADP, not just about the services they provide, but how to successfully help companies combine different services and technology and make life easier for the HR professional. NorthCoast 99: What Were the Top Performers Doing in 2014? The deadline for the 2015 application for NorthCoast 99 is fast approaching. Every year, the top 99 workplaces in Northeast Ohio come together and celebrate their ability to attract, retain, and motivate top talent at their organization. ERC's NorthCoast 99 program recognizes great workplaces that excel at the attraction, retention, and motivation of top performers. ERC is proud to have recognized great workplaces in Northeast Ohio, and has accumulated a great deal of insight into what makes a workplace truly great through the research we conduct as part of the program. What makes a great workplace that draws extraordinary employees to love coming to work every day? What makes a great workplace that attracts, retains, and motivates the very best talent? Here are 15 attributes that we believe are characteristic of great workplaces for top talent, based on our research over the last 15 years. Great workplaces understand the importance of keeping employees' work interesting, exciting, challenging and meaningful, because consistently, top performers say that challenging and meaningful work is the number one attribute they seek in a job. 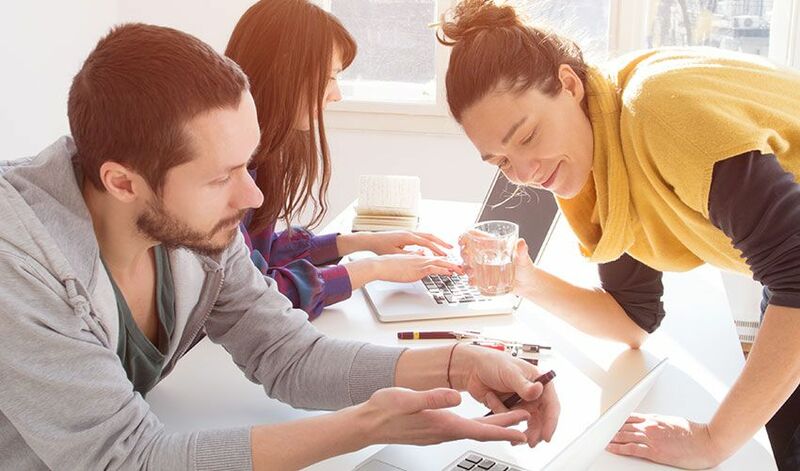 Great workplaces are made up of great people. Within great workplaces, top performers work alongside other top performers who are positive, hardworking, committed and loyal, believe in what the organization does, and participate in making the workplace great. Great workplaces offer competitive and fair compensation, above-average pay increases, and opportunities to earn more pay based on performance, such as bonuses, profit sharing, and other incentives to keep and reward top performing talent as well as attract new talent. Great workplaces show they appreciate and value employees and their contributions. They celebrate success often, and praise, recognize, and reward employees in a variety of formal and informal ways. They never miss an opportunity to say 'thanks' for employees' hard work. Great workplaces invest in training and development for their workforce to grow their talents and capabilities. They make time for learning and support it by paying for employees to participate in various opportunities and offering/delivering a variety of training and career development programs. Through performance management practices that help guide, support, and develop exceptional performance, great workplaces provide clarity on how to be a top performer, help other employees become top performers, and assist existing top performers in sustaining top performance. Reaching for excellence each and every day is what makes great workplaces successful. Great workplaces are flexible to employees' work/life needs and encourage work/life balance by offering flexible schedules, providing generous paid time off, accommodating individual requests and needs, and creating a supportive work environment that is understanding of personal and family obligations. Great workplaces genuinely care about their employees' well-being. They offer wellness options that help employees develop healthy lifestyle behaviors as well as provide an array of benefits which support their employees' health and personal welfare. Great workplaces involve and empower employees by listening to their input, involving them in moving the organization forward, and giving them opportunities to lead initiatives, collaborate with one another, participate in decision-making, and make a meaningful difference at work. At great workplaces, employees believe that their opinions matter and that they can positively impact their organizations. Leaders frequently share information about the organization's performance, its financials, the vision and direction of the organization, and other critical information and updates at great workplaces. In addition, leaders regularly interact with and communicate with employees one-on-one, in small groups, and as an entire staff. Additionally, great workplaces help everyone understand the mission and purpose of the organization, and how their work connects to the big picture. Great workplaces are led by exceptional and inspiring leaders. Leaders set the example from the top and lead the organization well. They genuinely care about and value employees. Relationships between leaders and employees are characterized by mutual respect, trust, honesty, and support. Great workplaces are successful, growing, and innovative. They hold themselves to high standards, are focused on delivering exceptional customer service and quality, and strive to innovate and continuously improve their organizations. They are always raising the bar in their businesses and in their workplaces. Great workplaces hire the best—and only the best. They recognize that a great workplace and culture results from great people. They define the talent they need, strategically recruit it, and put into place selection practices that identify top performers, as well as on-boarding practices that engage top performers and set them up for success from the start. Great workplaces have a unique culture that is their own, often described as fun, congenial, collaborative, positive, passionate, and creative. Their work environments, people, and workplace practices all help create a vibrant, positive, magnetic, and infectious culture. And last but not least, great workplaces make an impact on and give back to their local community. Not only do they generously donate their company resources to the community, but they also serve their communities by helping others in need and offering their staff's time and talents. There is no magic formula for achieving a great workplace, and these are just some common attributes of many that great workplaces seem to have. While no workplace is perfect, many organizations strive to become a truly great workplace and come close. The NorthCoast 99 winners are among these organizations, and they, as well as all other organizations that strive everyday to be great workplaces, should be applauded for their efforts to become employers of choice in Northeast Ohio. They are truly making a difference. Subscribe to ERC's emails to stay up-to-date with the latest updates and trends in the Human Resources and learning & development industry. 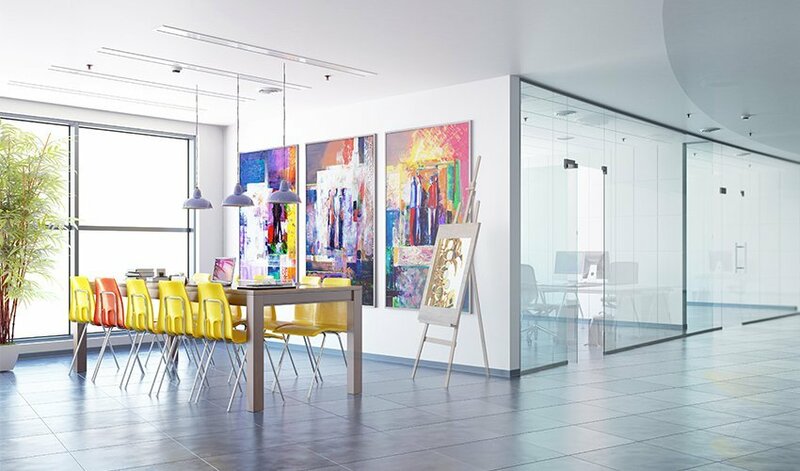 When building better workplaces, employers typically focus on making internal improvements that can range from renovating the physical office space housing the organization to developing employees to build the talent pool. However, if the 2013 NorthCoast 99 Winners Report is any indication, employers would do well to look beyond their four walls and reach-out to build their surrounding community. At the Executive HR Women's Network event on March 20th, 2013, Staffing Solutions Enterprises and ERC teamed up to provide participants with information from the Alfred P. Sloan and NorthCoast 99 programs.